It is best to toilet train dogs while they are still young puppies. As they grow, they develop unwanted habits, so you’ll have a harder time with older pups and adult dogs. Successful potty training is all about the timing of IN and OUT. 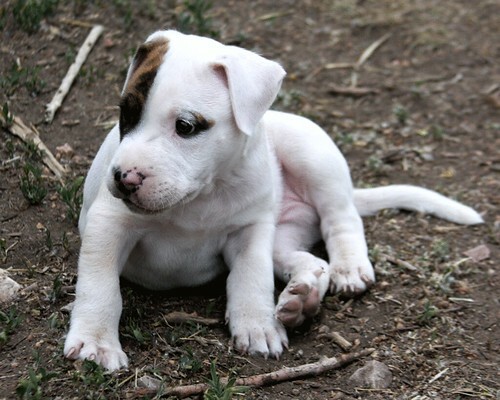 Young puppies take IN food or water, then they pee or poop OUT, typically within 15 to 20 minutes. It’s up to you to get your pup to where you want him to be when he pees or poops OUT. Keep in mind that cleaning up is part of the housebreaking process, though, as you won’t always be there to watch him. DO stay until he’s done or a long time has passed without any results. DO praise him in a cheerful voice when he pees or poops. * DON’T talk to your puppy when he pees or poops in the wrong place. DON’T punish or yell at him, either. DO clean up the mess quietly and ignore your pet while you’re doing so. * DO only feed your pup and give him water when you can take him outside afterward right away. Normally, dogs should have access to fresh water, especially in hot or dry climates. But during toilet training, this restriction will speed up the process. Your puppy will have fewer accidents and more quickly learn what you want. But DO use your judgment about any possibility of dehydration. * When you’re both at home, DO have your pet with you as much as possible, whether in a confined area, at your side, or in a crate. If you’re crate training, DO keep him in it as little as possible. * Puppy potty training isn’t always fun, and you most likely already knew that. If your pet is running around in a safe place, take this opportunity to do some stretching while watching him. If you’re doing an activity such as gardening, don’t get too distracted so you’ll know if your pup has to go. * The age during which puppies can “hold it in” varies. If you bring your pet home at around eight weeks old, which is regarded as the ideal age, expect a month or two of accidents. * Don’t bring your puppy back in right after he has finished his business. He will notice that the fun of being outside ends once he pees or poops, and this is not something that you want him to think. * If you are clicker training, you can press the button when your pet eliminates in the proper place, then give him a treat later when he is done. * You are also building a relationship with your pet as you are toilet training him. Every now and then, think about what the world must look like from his point of view – there are giants who are sometimes very affectionate and other times bewilderingly angry. Be patient with your pup!